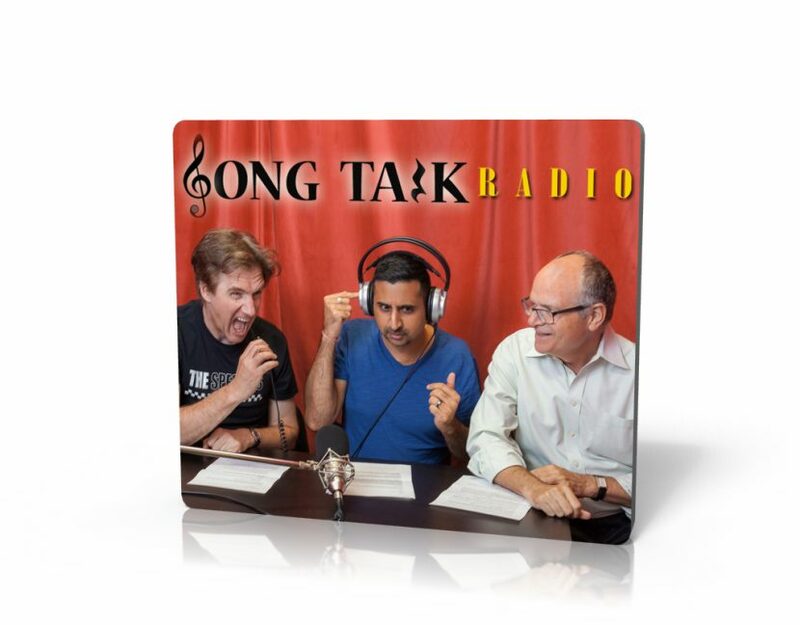 Song Talk Radio with Bruce, Neel & Phil is a weekly 1 hour radio show on CJRU 1280, that also live streams to the internet and is also available as a podcast at the iTunes Podcast Directory. This intro needed to be short but still reflect the loose and fun nature of the show. It also has built-in points where variations are easily plugged in to keep it fresh and entertaining for established listeners. Song Talk Radio is a fun, loose, free-wheeling weekly radio gardening show for songwriters. It is not a singer/songwriter showcase or an interview show, but a way for songwriters to talk about all the technical aspects of writing songs, sharing what they’ve learned along the way and how everyone can get better at writing songs. The show is hosted by Bruce, Neel and Phil. Each week a songwriter – anyone from fresh noob’s to grizzled pro’s sporting numerous credits – plays a couple of songs and the group pulls those apart and talks about whatever else pops up along the way. The show is open to every genre you can think of: pop, rock, folk, jazz, punk, electronica, dance, and Rap. Songwriters perform their songs live or play pre-recorded tracks. It’s a blast. Think of it like one of those talking head sports shows – ‘cept with less yelling. Each show is live tweeted to social media channels and incoming tweets and emails from listeners are shared with the audience in real time. W created the branding strategy, the social media marketing strategy as well as implementing affiliate marketing programs and podcast frameworks. The podcast is available via the Itunes Podcast Directory, Stitcher.com, youTube, as well as many other podcast directories.